WDG Music is proud to present the quirky offbeat-driven progressive psytrance debut of Focojo, one half of Mindplex, his collaboration project with Microtech. Focojo focuses on a more light and joyous sound while continuing the peculiar vibes of Mindplex. 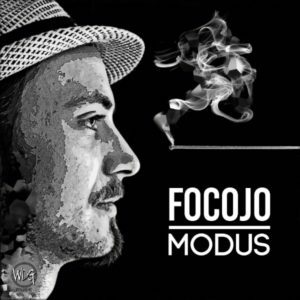 Blending known patterns with unorthodox synth lines into an grungy brew of music, Modus is an elated definition of Focojo’s style which will get you fired up for an energetic time on the dance floor. Mastered by Robert Hundt/Radioactive.Cake at Anti-Logic (Berlin). Cover artwork by Interstellar Foto (Münster). one of my favorite releases in in past, cant belive that it have only 74 % atm. thx WDG-Muic for make it here available. Good achievement. Funny ‘Get Grungy’. man this is so so so damn good!! Luv it!